The Natural History Museum of Singapore is a venue for biodiversity research, education and the repository of artifacts which were found in the old National History Museum. 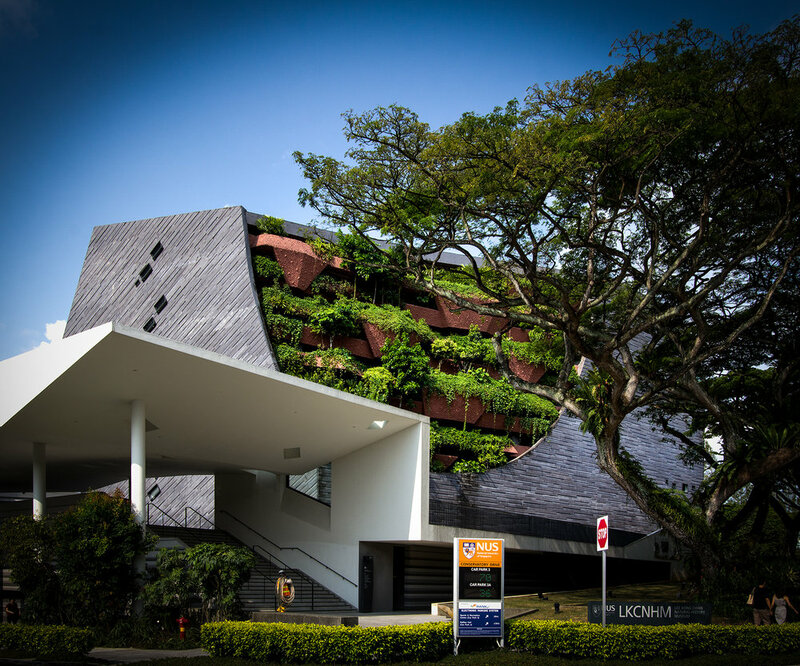 The venue hosts research laboratories and a museum with exhibits that celebrate native species and biodiversity. With education as the rationale for the project, the landscape expresses this concept in four distinct areas. 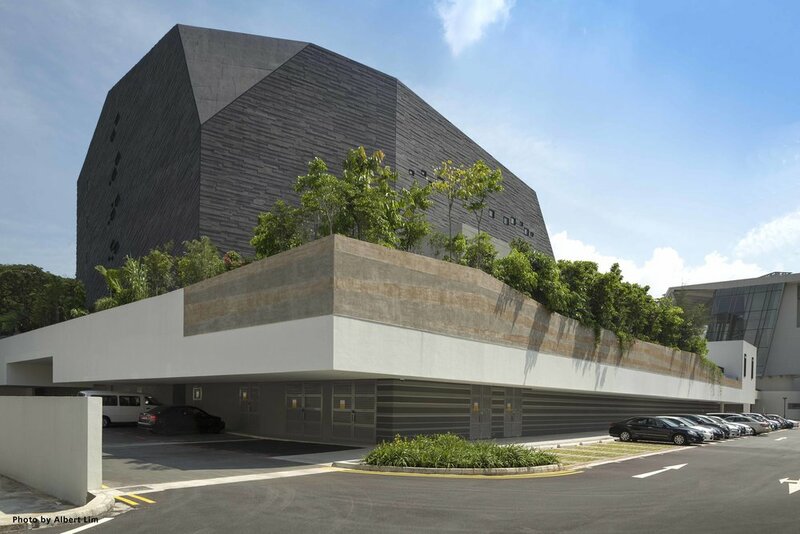 Plants native to Singapore fill a six-storey cleft in the ‘cliff like façade. An extensive beach section and interactive mangrove pools highlight the importance that these habitats have played in Singapore's rivers. The fourth area displays the evolution of various native plant species. Between the geodic main building and the supporting laboratory space are a series of interactive native species exhibits. Here the focus is on mangroves, aquatic plants, palms, and flowering species. To encourage hands on learning, exhibits allow children of all ages to interact with the micro-ecosystem. On the east side of the building, a phylogenetic garden showcases a number of distinct shrub species where are demonstrated important plant species as they have evolved over time. On the north side of the Museum, a ‘beach’ environment replicates the evolution of an equatorial rain forest island.